Oprah Winfrey is a self-made billionaire with the resources and clout to wear any designer she chooses. 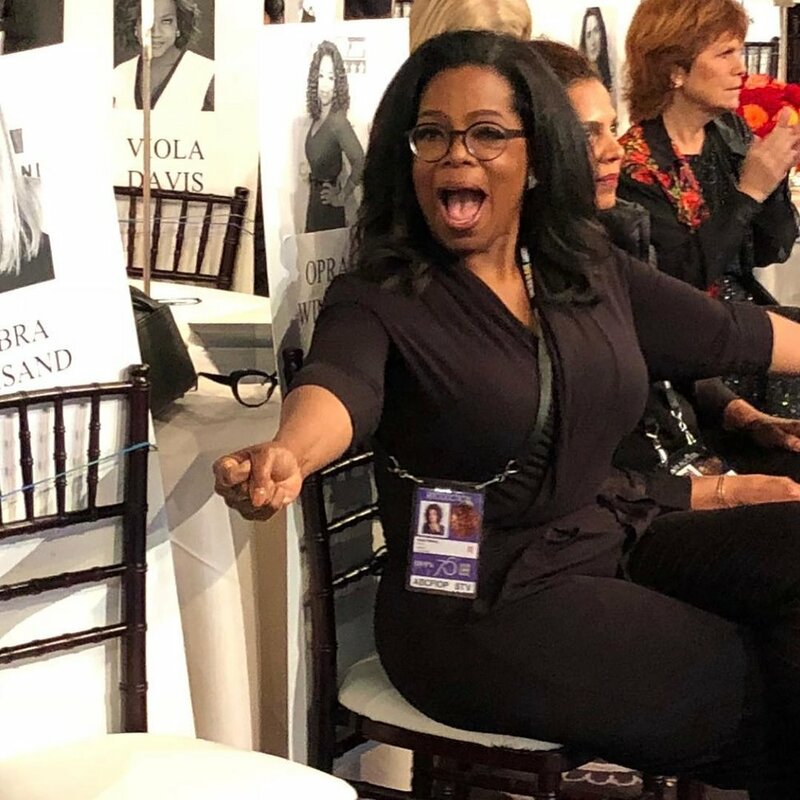 But when it came time to rehearse for her Golden Globes acceptance speech on Sunday—you know, the speech that launches a thousand "Oprah 2020" pleas—she was wearing a relatively affordable San Francisco brand. Winfrey and BFF Gayle King's social feeds show the media legend walking out of her home and around the Beverly Hilton ballroom wearing a black, wrap-front, belted jumpsuit. And, according to local apparel brand Les Lunes, that piece was none other than their Paul jumpsuit, which retails for $198. If you follow San Francisco bloggers like Sarah Tripp from Sassy Red Lipstick and Kat Ensign from KatWalkSF on Instagram, you're probably familiar with Les Lunes jumpsuits. (The brand made a big social media push last year, and their super-soft jumpsuits were among the most popular items.) Les Lunes designs use an eco-friendly, bamboo-blend knit that's wrinkle-resistant and incredibly soft. Les Lunes gifted two pieces to me last year, and they're just as cozy as my favorite pajamas, and it seems that Oprah is also a fan. Maybe you can't afford Winfrey's custom Versace awards show gown, but you can easily score her polished, comfortable rehearsal look right here in San Francisco. The Paul jumpsuit is available right now both online and in the Les Lunes boutique at 3027 Fillmore Street.